Mark Burt is our Chief Executive Officer and the leader of our SAP All-in-One practice. A resident of Cayce, SC, Mark graduated from The Citadel with a degree in Business Administration. Mark co-founded D1 Technologies, and, previously, MKB2B Business Solutions, because he wanted to help address the challenges he saw with mid-sized companies in achieving a consistent level of growth and profitability. 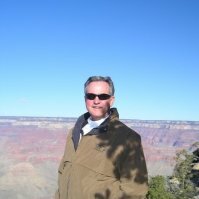 With over 35 years of successful experience in high tech industries, including software and communications, Mark has worked for companies such as SAP, SCT Utility Systems, SCANA, and Motorola. He has a record of success in working with companies of all sizes and prides himself in building strong business development and customer relationships. An avid networker and a self-titled salesperson by trade, Mark loves the daily variety that the technology business brings. What can be a bad day at first can quickly turn based on the relationships and trust with customers and partners. Mark has been a fan of the Atlanta Braves for so long that he can remember listening to them on his portable transistor radio when he was a boy – through good years and bad years. Now whenever possible, you can find Mark on the golf course or on his boat with wife and three children. Hey there, Ready for Elite Level Performance? Contact us today to learn more how we can help you take your business to an elite level of performance.